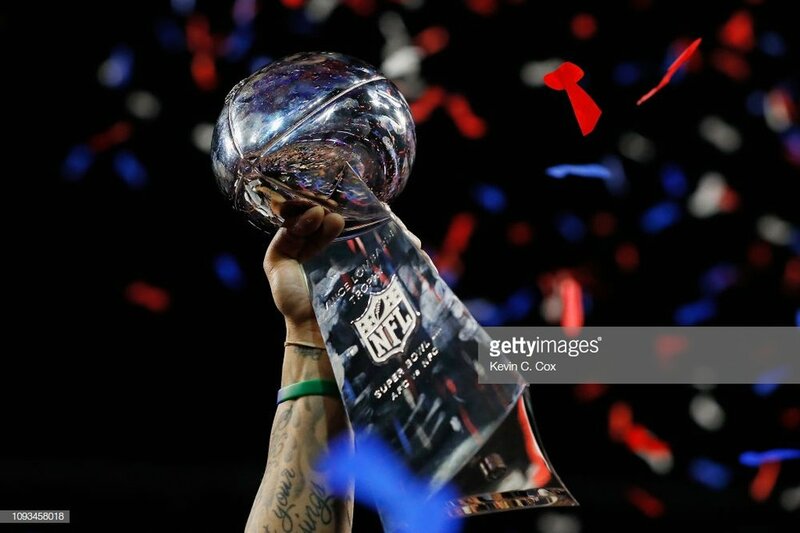 For the second time in the past three seasons, the New England Patriots ended the season as Super Bowl champions. Even though there’s almost a year between now and the 54th rendition of the NFL’s championship game, it’s never too early to make predictions. Here are the ITH crew’s early picks for each conference’s representatives in the big game. After this year’s battle of defensive prowess, we get the polar opposite with two of the league’s most exciting quarterbacks duking it out on the big stage with the Lombardi on the line. The Chiefs will make it because Steve Spagnuolo and some offseason additions will make the defense respectable, and that’s all they need to complement the juggernaut on the other side of the ball. In the NFC, Doug Pederson and a more experienced Carson Wentz will recreate the magic from 2017 en route to an NFC title. Let’s be honest here; no one in the AFC is equipped to keep the Patriots out of the Super Bowl. Bill Belichick is arguably the greatest coaching mind in NFL history, and his schemes always combat the opponent perfectly (see Super Bowl LIII). Chicago's defense this past season was the best we’ve seen since the 2015 Broncos. Mitchell Trubisky fits well in Matt Nagy’s system, especially when there’s a running game to keep it balanced. Surround the kid with quality weapons, & we’ll have a third straight Patriots Super Bowl rematch in Super Bowl LIV. The Chargers have a complete team and will only improve this offseason. Mike Williams looks like the real deal, and if Keenan Allen can remain healthy, this will be one tough duo to stop. The Saints were a play (or a call) away from the big game this year. Alvin Kamara is a stud and Mark Ingram can rumble between the tackles. They’ve surrounded Brees with enough talent in the passing game as well. If the Saints can lock up home field once again, they won’t come up short. Super Bowl LIV will ring some bells with Russell Wilson v. Tom Brady Part II. This time around, the Seahawks will seal the deal behind a rejuvenated offensive line and the second coming of the Legion of Boom. The Patriots will come close to their record seventh ring but will wind up just short. The Titans will make it to the big game because they have a good defense and play a very bland brand of football. They have a mobile QB and a coach who knows how to win. The Bears are a similar team to the Titans and have good pieces on offense. Super Bowl LIV is also in Miami, where Chicago last played in the championship. The Bears will take a W this time around, and the score will be 27-17. The Texans have a young core in place, led by QB Deshaun Watson, who doesn’t shy away from big moments. The problematic offensive line should be addressed through the draft and free agency. The Seahawks have seemingly revamped their secondary after the departure of the Legion of Boom. Combine that with a top 5 o-line and an emerging back in Chris Carson, Seattle will be a tough out in the playoffs. Every year people pick against the Patriots and every year they prove them wrong. Until I see someone dethrone these guys, I can’t pick against them. Father Tom > Father Time. I see the Saints rebounding from the horrible call that cost them their season. The weapons aren’t going anywhere─ Brees, Thomas, Kamara, & Ingram are some of the best playmakers in the league. The Saints have also found great talent outside of the draft’s first round. Filling up the depth chart with big time players is a key to success.